Finish wizard is the final step of all operations. The first thing wizard shows to user is command of earlier specified operation. 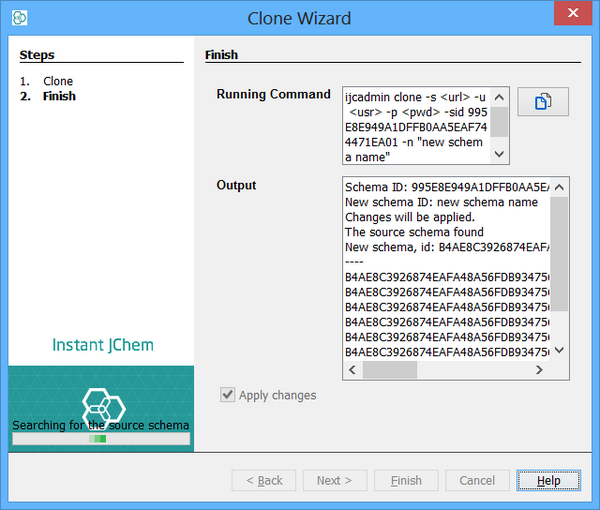 In this example we are finishing clone operation from previous page so clone operation command is shown here. This command can be taken and performed from command line as well. The „copy to clipboard“ button on the right next to command text area copies the whole command to user’s clipboard. 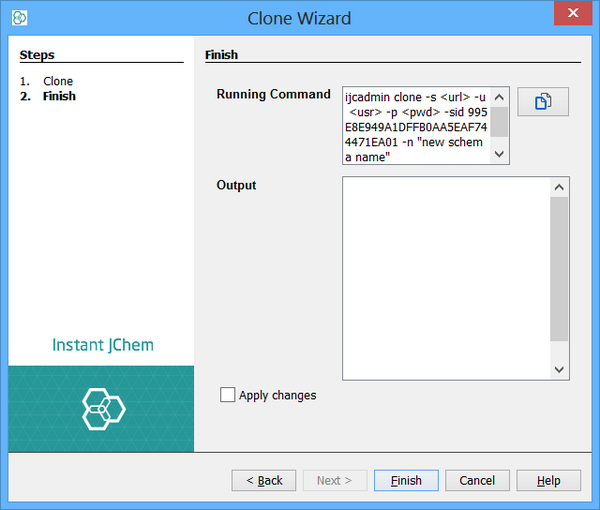 The important option on finish wizard is „Apply changes“ checkbox at the bottom. If this checkbox is not selected, operation will proceed in test mode, which means it will simulate running the operation, but without any changes made in database. This is useful when user wants to check what exactly is the operation going to do before he really makes changes to the database. After running the operation by clicking “Finish” button, progress bar appears and output of the operation is displayed in the output text area. By clicking “Close” button the user is returned back to main page.